The EHL Group specialises in providing turnkey solutions for motion and control technologies and systems. Based in Taranaki, New Zealand’s industrial oil and gas hub, EHL is one of the leading providers of precision-engineered solutions for a wide variety of mobile, oil and gas, industrial and marine markets. EHL serves local, national and international customers and is known for its innovative design engineering projects that have set a high standard in the industry. When it comes to motion control and fluid technology, EHL is there, constantly evolving, improving and training to keep abreast of each new requirement in the industry’s ever-changing environment. EHL provides custom-designed hydraulic and electronic systems, and instrumentation and electrical services for some of the world’s most discerning customers. Our motion control and fluid control systems are in use in oil and gas, petrochemical, industrial and marine applications worldwide. We specialise in achieving what most suppliers consider too hard. Using innovative design, state-of-the-art products and high-class fabrication, we can make even the most challenging project achievable. EHL forms close relationships with customers, contractors, suppliers and fabricators – achieving the best outcome for the total project. EHL provides reliable and cost-effective process systems that are approved for operation in hazardous areas. We are highly experienced at meeting the stringent requirements of industry standards and specifications and provide assurance that all components used will meet those standards, while providing ‘plug and play’ convenience with maximised reliability and reduced operating costs. From small, compact, highly versatile mobile units, to larger skid structures built to accommodate multiple tanks, pumps, motors and other auxiliaries, EHL is committed to providing exceptional products backed by quality technical services. EHL’s test packs and gas boosters are customised to meet client requirements. With EHL customised does not necessarily mean expensive; in fact, our products offer outstanding value for money as they will meet exact requirements that off-the-shelf products may not. All of our custom-made test packs and gas boosters are fully certified and have a QA pack, ensuring the highest quality in manufacturing standards. A wide variety of instrumentation products is available through EHL’s store. These are sourced from global leaders in the design and manufacture of high-quality critical flow and ultra-high purity components for the petrochemical, chemical processing, oil and gas, power generation, water analysis, biopharmaceutical, semiconductor and analytical equipment industries. Hydraulics is the technology of controlling pressurised fluids to create force and motion. Parker hydraulics, specified and installed by EHL, enable and improve industrial and mobile machinery performance. If you’re planning a new motion control system or upgrading existing ones, EHL is the total resource you can rely on. EHL’s Parker Store offers more filter types, configurations and filter solutions than any other company. EHL’s filter engineers collaborate with customers at the earliest stages of design to develop the optimum filter systems. 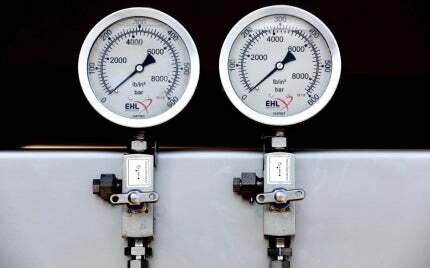 Pneumatics is the technology of controlling pressurised gases to create force and motion, and using Parker pneumatics, specified and installed by EHL, will enable you to improve machinery performance and limit machinery down-time in your business. EHL offers highly skilled engineers and electricians for service and repair of both onshore and offshore equipment and plant. With an exceptional reputation in providing quality service at a fair price, EHL is the go-to company to get the job completed on time and to a high standard. EHL Group exhibiting at NZ Oil & Gas 2014 Expo, 22-23 October 2014, at the TSB Stadium, New Plymouth, New Zealand. EHL products and services are very diverse, and suitable for a variety of industries and functions. Development work carried out by CMC engineers in conjunction with Exxon Mobil Aviation highlighted the need for an alternative test method to determine the levels of dispersed contamination in jet fuel. Maari oil field lies in Block PMP 38160, situated 80km off the South Taranaki coast in New Zealand. New Zealand's Kupe project is situated within the Kupe Central Field Area (CFA), about 30km offshore south-west of Hawer. Taranaki's EHL Group, formerly Energy Hydraulics, is hoping its first major involvement in an international research project - the design, fabrication and testing of a wave machine destined for use by the American Navy - proves a success.